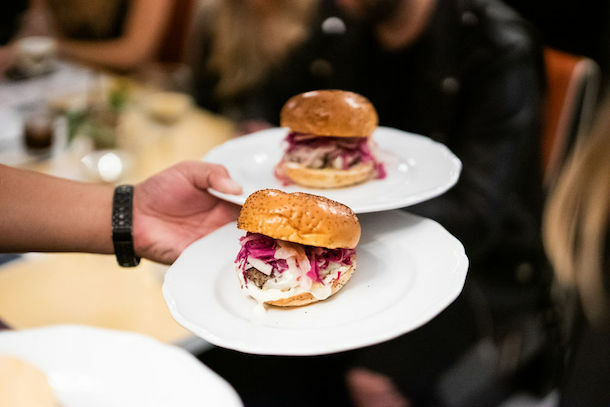 Los Angeles is definitely a foodie city, it’s inspired with creativity, imagination, Hollywood glam, and foodie indulgences that are a noticeable addition to food lovers everywhere. 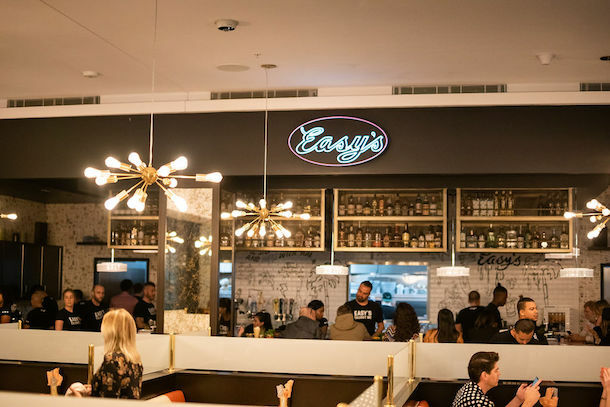 This fall season, restauranteur, Jeremy Fall has opened up a new diner to adorn the LA hotspot scene and that diner is called Easy’s. Easy’s is the perfect diner to stop in to have a cocktail, eat a delicious meal, indulge in tasty cookie dough or bring it back to your teenage days with menu items such as the fried chicken and funnel cake. Far from a carnival, this comfort food diner is not your ordinary dining experience. 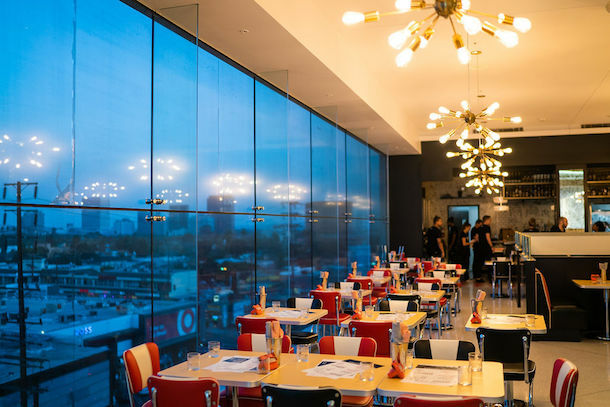 Diners have the option to sit at the bar, inside table or extend to the patio area with side sweeping LA views. There is even a romantic aspect here, think Sandy and Danny from Grease sharing a burger while enraptured in a starlit skyline. 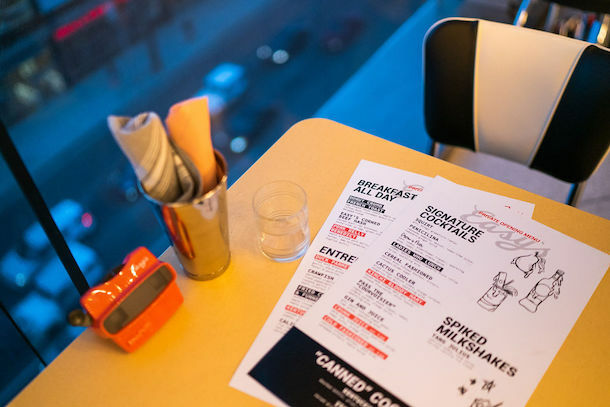 The diner concept even has duck parmesan on the menu because sometimes your tastes are indulgent and sometimes they frivolously want to play with French toast or French fries. There’s literally something for food mavens everywhere, there’s an opportunity to stop in with your family to share a bite that the kids will love, have a drink at the bar while the significant others takes a day to shopping, or comfort in elevated versions of comfort food. 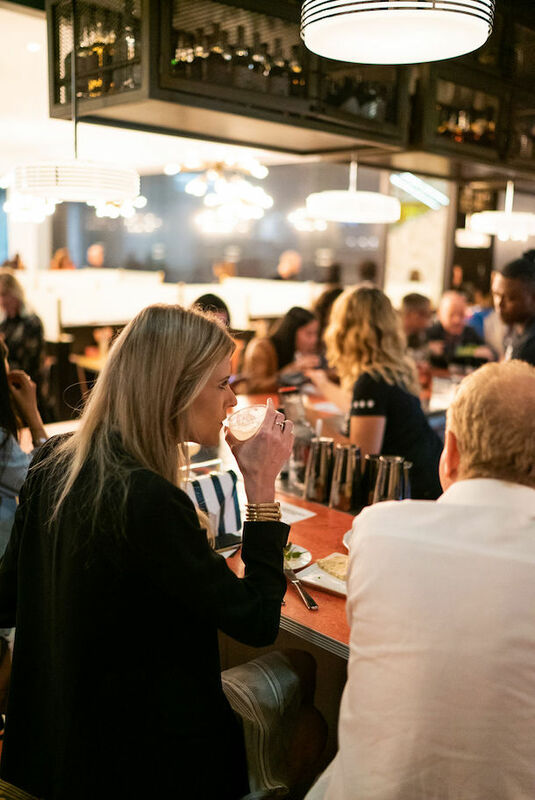 Situated in the newly remodeled Beverly Center, not only has this indoor staple of Los Angeles lifestyle received a face lift, but they’ve also received a new hotspot. If you’re visiting Los Angeles, or looking for a restaurant that will satisfy your need to indulge. Easy’s is the place for fun, drinks, and a fabulous fun time vibe. Easy’s does it, and will probably do it for you over and over again, because this menu will leave you wanting to keep coming back!